Raven Pipe Organ CDs and Choral CDs - An Old Salem Christmas: What Good News the Angels Bring! An Old Salem Christmas: What Good News the Angels Bring! Featuring the largest existing pipe organ built by America’s first native-trained organbuilder, David Tannenberg (1728-1804), now restored in its own concert hall at Old Salem in Winston-Salem, North Carolina, after silence since 1910, organist Scott Carpenter plays solo organ works, a work for flute and organ by Dan Locklair, and two choirs and instrumentalists sing seasonal works, some of which were composed by Moravians. The organ was built by Tannenberg 1799-1800 for Home Moravian Church in Salem. Singing are the Winston-Salem Children’s Chorus, Barbara C. Beattie, director; and the Moramus Chorale, James Bates, director. The Moravians date their history back to the fifteenth-century Czech reformer Jan Hus, but this earlier strain of the denomination was persecuted and driven underground in the seventeenth century during The Thirty Years’ War. Renewal occurred during the 1720s under the leadership of Count Nikolaus Ludwig von Zinzendorf on his estate in Saxony, called Herrnhut (“The Lord’s Watch”). Filled with missionary zeal, Moravians in the eighteenth century sent missionaries around the world, and began a settlement in Georgia in 1735. That experiment failed, but in 1741, under the leadership of Zinzendorf, they established a permanent community on the banks of the Lehigh River in eastern Pennsylvania named Bethlehem, lured in part by William Penn’s promise of religious tolerance. Other communities, such as Nazareth and Lititz, were established in southeastern Pennsylvania, and in 1753 the Moravians (more properly, members of the Unitas Fratrum, or Unity of the Brethren) bought 100,000 acres of land in north-central North Carolina, called the Wachovia Tract, after Wachau, a Zinzendorf family estate in Austria. The first pioneers, all Single Brothers, arrived late that year to establish the community known as Bethabara. Other settlements followed, such as Bethania in 1759 and Salem in 1766. The latter became the most important of these settlements and led an independent existence until 1913, when it merged with Winston, its modern neighbor to the north, and became Winston-Salem. Many historical structures still remain and can be visited on tours of Old Salem Museums & Gardens, one of America’s most authentic living history museums. The museum is nestled among historical structures occupied as private residences, the Home Moravian Church, buildings housing the offices of the Southern Province of the Moravian Church, and the grounds and buildings of Salem Academy and College, founded as a school for girls in 1772. Music for the Moravians has played a central role in the practice of their faith. Musical literacy was widespread, and not only did the congregations sing from a vast repertory of hymns or chorales, but the larger communities maintained a collegium musicum, groups of trained singers and instrumentalists who created the most sophisticated musical culture of colonial and Federalist America. A significant group of Moravian composers, men such as Johann Friedrich Peter (1746–1813), Simon Peter (1743–1819), Johannes Herbst (1735–1812), and John Antes (1740–1811, the only native-born composer of this first generation) created a significant body of anthems (both solo and choral), as well as examples of instrumental chamber music. These Moravians were well aware of European music of the period and presented what were surely the first performances in the country of works by Mozart and Haydn, as well as their lesser-known predecessors and contemporaries. Edward W. Leinbach (1823–1901), a native of Salem, North Carolina, was sent to Boston for final polishing as a musician. He then returned home to become a prime influence during the latter half of the nineteenth century as church organist and choir director, director of the Salem Band, organizer of the Classical Music Society, and professor at what was then called the Salem Female Academy. His sturdy “Hosanna” is surely his best-known composition. For double chorus, this piece inevitably reflects the earlier setting of the same words by Christian Gregor (1723–1801), but demonstrates the fervor with which the appearance of Christ is greeted on the first Sunday of Advent. Karl Gottfried Löwe (1796–1869) although not a Moravian composer, may be seen as representing the many non-Moravian European composers whose works found their way to American Moravian collections. He was interested in theology, philosophy, and medicine, but became known as a ballad singer and organist. A prolific composer of oratorios, operas, and smaller vocal and instrumental works, only two of his works can be found in American Moravian collections: one of his eight oratorios and “O Most Gracious, Welcome Child,” a charming lullaby-like carol that, in its original form, contained dialogue between soloists and the full chorus. For the very pastoral “In Natali Domini,” James Boeringer (b. 1930) borrowed a melody by John Horn (1490-1547) found in A Hymnal of the Brethren in Bohemia and Moravia of 1544, wrote a new text and created his own four-voiced harmonization of the original. The piece is one of fifteen carols created in a similar manner. Dr. Boeringer, who taught at South Dakota University, Oklahoma Baptist University, and Susquehanna University in Pennsylvania, served as director of the Moravian Music Foundation from 1980 until 1984. Theodor Liley Clemens (1858-1933) was both author and composer for “All Silent Was the Night.” The son of a Moravian minister, he was born on December 8, 1858, in Baildon, Yorkshire. He was ordained in 1886 and was sent to Spring Gardens on Antigua. Shortly after his marriage to Mary Mercer in 1888, he was called to the Moriah Congregation on Tobago where he served until 1917. Clemens had a great love and talent for music and trained both a fine choir and organists. Since his church could not afford to buy music from England, he wrote many hymns, anthems, and organ pieces for his congregation, as well as a number of secular pieces. The Sonata da chiesa for flute and organ was written during 1998 by Dan Locklair (b. 1949), Professor of Music and Composer-in-Residence at Wake Forest University, as a commissioned work for a regional convention of the American Guild of Organists, held in Knoxville, Tennessee, the following year. The title has its origins in seventeenth-century Italy, where it came to signify a sonata appropriate for performance in a church, with four movements in a slow-fast- slow-fast order, this in contrast to a sonata da camera, or chamber sonata, intended for performance in a secular context, its movements usually reflecting the qualities of various social dances of the period. According to Dr. Locklair, his piece “is influenced by the spirit of the baroque,” and combines the qualities inherent in both types of sonatas. The subtitles “are similar to those found in topical indices of hymnals and here help frame the piece.” In addition, “Faith and Aspiration” (movement 3) is a chaconne, a series of variations built on a repeated figure in the bass, and incorporates the melody of a well-known Lutheran chorale attributed to Philipp Nicolai, dating from 1598. Its words, traditionally translated as “How brightly shines the Morning Star,” are liturgically associated with the Epiphany season. Movement 4, “Amen – Close of Worship” – is a joyous dance movement. Margaret Vardell Sandresky (b. 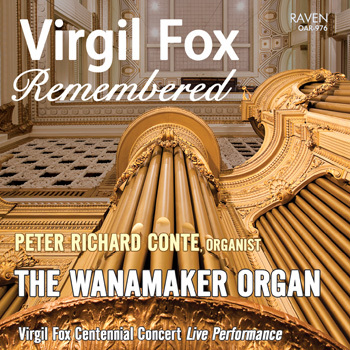 1921), Professor Emerita of Theory and Composition at Salem College, was commissioned by Scott Carpenter to write a new piece for this recording; the result was finished on September 3, 2005. The melody on which it is built was written by Francis Florentine Hagen (1815–1907), who was born in Salem, North Carolina, and received his early education there. At age eleven, he was sent to the Moravian School of Nazareth Hall in Pennsylvania, but returned to Salem as a schoolteacher in 1835. Hagen was attracted to the mystical poetry of Johann Scheffler, especially his Morgenstern, auf finstre Nacht, which was sung to a tune by Johann Anastrasius Freylinghausen (1610–1739). Hagen wrote a new melody, and with some of his female students, presented the result from the gallery of Home Moravian Church in Salem on Christmas Eve 1836. The first English translation of the poem appeared in 1857, and now the work, with a translation by an English Moravian pastor, Bennet Harvey, Jr., from 1885, has appeared in all recent American Moravian hymnals and has become a traditional part of Moravian Christmas Eve services. The composer speaks of her treatment of the melody as “a meditative reflection of the hymn in musical pictures,” with particular emphasis on the words “Jesus mine, in me shine; in me shine, Jesus mine.” Hagen’s melody is reflected “in its antiphonal repetitions.” The organ work serves as a preface to the Moramus Chorale’s and the Winston-Salem Children’s Chorus soloists’ performance of the original. Johann Sebastian Bach (1685–1750) remains the great patriarch of organists, creator of the core of their repertory for both church and concert hall. He wrote a substantial number of chorale preludes, all of them based on chorale (hymn) melodies that would have been familiar to listeners of his day. They were intended to preface congregational singing of the hymns, an imaginative way of setting the pitch and reminding the singers of melodies that were not in the hymnals they held, which usually contained only the words. It is clear that many of the lengthy elaborations of these melodies could not have had a utilitarian function, and even in some of the shorter pieces the original melody is almost totally obscured. In fact, at least once Bach was scolded by church authorities for confusing the congregation through his embellishment of the melodies beyond recognition. We presume that he was improvising his preludes, as was the practice then and now in Lutheran circles; we assume that much of what we have on the page is simply codified for posterity from what was originally extemporized. The preludes you will hear appeared in the Orgelbüchlein, or “Little Organ Book,” organized during the years 1708-12. Although never completed, Bach intended to create a cycle of preludes on chorales that could be used on all the Sundays and festival days of the liturgical year. The melody of Vom Himmel hoch, da komm ich her (“From heaven on high I come here”), its original words by Martin Luther, is drawn from Valentin Schumann’s Geistliche Lieder (“Spiritual Songs”) of 1539. The melody will be obvious, since it is enunciated at the top of the texture. In dulci jubilo had its origins in the fourteenth century, its words originally a mix of Latin and German, an example of Luther’s appropriation of folk material for the new Lutheran hymnody. We sing it today to John Mason Neale’s translation of 1855, now updated to begin as “Good Christian friends [men], rejoice with heart and soul and voice.” Bach presents the vivacious melody as a canon between the top and bottom voices. Despite this modest claim, the results are hardly mere exercises, as this lovely pastoral example demonstrates. Titled In Dulci Jubilo (“In Quiet Joy”), and marked Cantabile, the borrowed melody will be readily apparent above an undulating accompaniment. Johann Pachelbel (1653–1706) worked in several German cities, but in 1695 became organist of St. Sebald in his native Nürnberg, a position he retained until his death. A progressive composer for his era, he nonetheless today is often relegated to the role of forerunner, since he and several contemporaries laid the groundwork for the supreme accomplishments of Bach, only a generation younger than Pachelbel. Although he wrote a considerable amount of Lutheran church music, he is recalled today mainly for his organ works, of which this treatment of Wie Schön Leuchtet der Morgenstern (“How Brightly Shines the Morning Star”) is typical: The borrowed tune (what the musicologist calls the cantus firmus) is clearly stated, phrase-by-phrase, in long notes in the pedal, while each of the hands presents faster moving, almost playful lines that intertwine and imitate each other, sometimes borrowing brief fragments from the chorale melody that actually anticipate their appearance in the cantus firmus. Pachelbel’s response to the melody on this recording immediately precedes that of Dan Locklair. Malcolm Archer (b. 1952) was appointed organist and director of music of St. Paul’s Cathedral in London in September 2004, leaving a similar post at Wells Cathedral. Trained at both the Royal College of Music and Jesus College, Cambridge, he is also an active recitalist and composer of more than one hundred published works. This piece comes from a collection published in 1997 titled Swing Low, Sixteen Improvisations for Organ Based on Traditional Spirituals, marking Archer as one of the modern British composers fascinated and inspired by American folk idioms. Barbara Beattie and the Winston-Salem Children’s Chorus provide a generous sampling of seasonal music by Englishman John Rutter (b. 1949), whose original carols have an endearing quality that make them feel like arrangements of inherited folk material. The same might be said of “Mary Had a Baby” by William Dawson (1899–1990), who enjoyed a long career directing the music program at the Tuskegee Institute in Alabama. His famed touring choir thrived on this master’s effective arrangements of black spirituals. Many assume that this piece is also an arrangement, so closely does it reflect Dawson’s other works in that idiom. In fact it is a new composition, both in words and music, fitting the apt description of “folk music by destination, if not by origin.” There are also arrangements by others, including a descant applied to the final stanza of “Silent Night” written by conductor Barbara Beattie herself. Scott Carpenter is coordinator of music programs at Old Salem Museums & Gardens and associate organist at St. Timothy’s Episcopal Church in Winston-Salem, North Carolina. He holds a bachelor of music degree in organ performance from the North Carolina School of the Arts, where he studied with Dr. John S. Mueller. Other teachers include Dr. John E. Mitchener and Helen S. Cornwall. He performs recitals and presents Tannenberg organ lectures to Old Salem’s visitors throughout the year. In 2001, he performed at the national convention of the Organ Historical Society and has served as that organization’s committee chairperson for Historic Organ Recitals. Mr. Carpenter also served on the Tannenberg Organ Restoration Committee, which was instrumental in preserving and restoring the 1800 David Tannenberg organ for Old Salem. Restoration of the largest surviving pipe organ built by David Tannenberg (1728-1804) was a fifteen-year project for Old Salem and a nearly one-hundred-year odyssey. The first step of the restoration was the careful storage of the organ when it was removed from Home Moravian Church in 1910. Old Salem restored the organ and provided a new home for it in the Old Salem Visitor Center though it is still owned by Home Moravian Church. Old Salem is a living historic town in Winston-Salem, North Carolina. Its restored buildings and gardens, and the museum’s collections, all help to bring to life the Moravians who lived here in the eighteenth and nineteenth centuries. The restoration of this organ makes a tremendous visual and audible impact on our knowledge of Moravian culture. Historically, the congregation town of Salem was planned, built, and administered by the Moravian Church. It was the Moravians’ third and primary settlement in the tract of nearly 100,000 acres they had purchased in 1753 and called Wachovia. As the primary town of Wachovia and its religious and economic center, Salem was inhabited in the spring of 1772 when 120 men, women, and children moved from the earlier settlement, Bethabara, where music had an important role among the Moravians. A “cabinet organ” had been added to the musical life of Bethabara in 1762, and it probably was built in Pennsylvania by organ builders Johann Gottlob Klemm and David Tannenberg. The first organ that Tannenberg built for Salem was in 1798 for the Gemein Haus, a building that served many functions, including the worship space for the town. This one manual organ was installed by Tannenberg’s son-in-law, Philip Bachmann. While Bachmann was in Salem in 1798, there were discussions with him and with Tannenberg via letter about a new, large organ for Salem’s new church, then in the planning stages. It was decided to have an organ with two manuals and pedals. Ground was broken for the church by the end of May 1798 and the next month, on June 12th, the cornerstone was set. The following year, in November 1799, Philip Bachmann returned to Salem with some parts of the organ. Bachmann worked with cabinetmakers, blacksmiths and other Salem craftsmen to complete and install the organ. The wind source for the organ was three large bellows located in the church attic above the organ gallery. Originally pumped in the attic by foot, the treading mechanism was moved to the organ gallery in 1802, allowing better communication between the organist and the pumper. The pumping system was used until the organ was dismantled in 1910. The Home Church organ underwent routine maintenance and tuning during the nineteenth century. The first major alteration was in 1845 when two swell boxes were added and the pitch may have been changed. This was probably under the instruction of George J. Corrie of Philadelphia, whom the Salem Congregation paid for thirty-eight days of work. The next major work on the organ was twenty-five years later, in 1870, when William Schwarze, a representative of Henry Erben, a New York organbuilder, spent thirty full days and twenty-two half days making alterations to the organ. The organ continued to be used for more than forty years, during which time the case and pipes were painted several times to suit the Victorian taste. But, sadly, the Home Church Diary for June 24, 1910, records: “The old organ, which for more than a century has done such splendid service in the Home Church, was removed today and stored in the Garret of the Salem Boys School. For some months it has been realized that it had served its day and could not again be repaired satisfactorily.” This began another remodeling of the church interior, and it reopened in November 1913 with services and a new organ by the Kimball Company of Chicago. Fortunately, the historical importance of David Tannenberg’s organ for the Salem Moravian Church was recognized at the time of its dismantling and it was not destroyed, but it remained in storage in various locations for eighty-eight years. During the restoration period 1998-2004, two centuries of this organ’s history were deciphered and analyzed by Taylor & Boody Organbuilders. With meticulous care and understanding, the organ was returned to its original state, musically and visually, and it stands as a tribute to the talent and craftsmanship of master organbuilder David Tannenberg, his able assistant and son-in-law, Philip Bachmann, and the various Salem craftsmen who willingly worked alongside Bachmann to complete a remarkable musical achievement in the North Carolina Backcountry.